If you’re looking for tiles for your home, you’ll need to visit a tile store near you, which can be a surprisingly overwhelming experience. If you want to find the best selection, price, and experience, then you need to go in with a plan of attack. For those in the San Fernando Valley, you can visit the helpful staff at Transworld Tile for all of your home’s tile and flooring needs! Tile Shopping? Don’t Go in Cold! 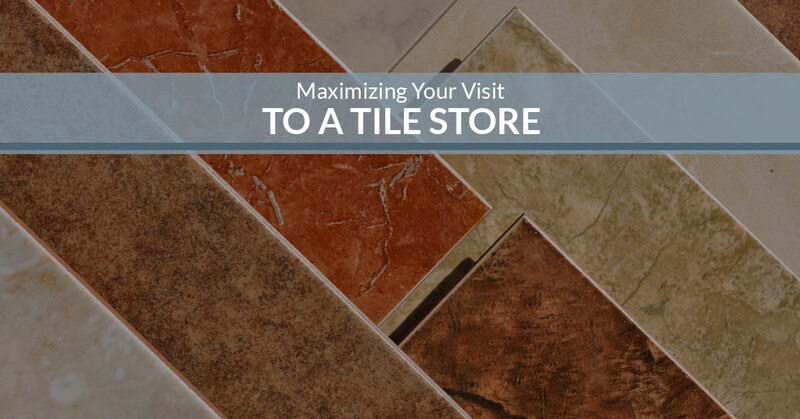 Before you set foot in a tile store, you should have a few things planned out first. If you don’t, then you’ll likely end up spending hours looking at tile selections with little success in finding the right tile for your home improvement project; preparing can make all the difference in your interactions with the tile store’s staff and sorting through the available selection of tiles. While this may sound obvious, it really isn’t. In fact, the budget is often one of the areas in which homeowners struggle with the most. While you may know about how much you would like to spend (and how much you could spend for the perfect tile), you likely haven’t factored in additional costs, like grout, installation, and even how much tile you will really need. Tile isn’t priced in a way that will make sense for your application, so it is up to you to provide the tile store’s staff with an accurate portrayal of what you’re going to need, when you’ll need it, and even how large of a space will be tiled. 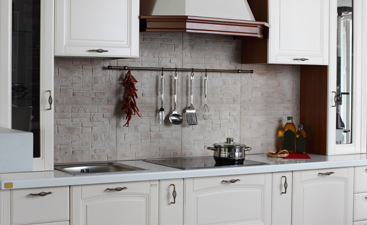 For instance, a floor tile installation will almost certainly require the store to place an order that could take days or weeks to get in, but could also save you money for purchasing a single large order; meanwhile, a smaller order for a kitchen backsplash could be in-stock and ready to go, but cost a little more per tile or square foot. If you don’t know what we’re talking about when we say “how many square feet do you need?”, then you’re going to have a problem. Shooting blindly into the dark, even by taking what you believe to be an educated guess, is never an effective strategy. Whether you’re doing a small tiled wrap around a newly-installed fire pit, a moderately sized kitchen backsplash, or tiling your entire open-concept living space with brand-new floor tiles, it is surprisingly easy to over- or under-purchase your tiles. While most stores are pretty lenient on their return policies for unopened merchandise, you absolutely don’t want to have do a 2-part installation due to lack of material or be left with 200 pounds of tile to (hopefully) return. Plus, and perhaps more importantly, you may completely misjudge the tile options available to you in your budget by planning for too much or too little tile, which can result in numerous uncomfortable situations. 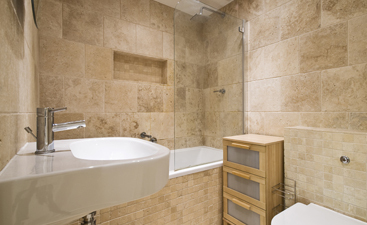 Don’t know how to measure your tile’s square footage? Read this entry to our blog that outlines easy DIY instructions that you can use to measure for kitchen backsplash tile; don’t worry, the principles used for a backsplash can also be applied to any other tile space! This may seem like putting the cart before the horse, but there is no harm in having a tile installer come to your home and give you a few purchasing tips before you even enter the store. While this may sound like a crazy thing for a tile store to propose, it actually could make you a better purchaser; not only will you come in armed with an accurate assessment of how much tile you will need, but you’ll know when your tile installer can take on the work and, by proxy, when you should aim to have your tiles delivered, and you’ll even enjoy the confidence of some helpful on-site buying suggestions from the installer that will actually be working with the tile. Trust us, our tile store’s associates know most of the tile installers in the San Fernando area, so we can safely say that they would love nothing more than the chance to advise homeowners on a few purchasing tips before the material is purchased. Not only will you have a happy tile installer, but you’ll get some useful information and exact buying parameters before you even set foot on the sales floor; sounds like a win to us! By simply having a rough idea of what you like, not necessarily the steadfast thing you simply must have, you can greatly cut down on the time and energy it will take to find the right tiles for your home. Plus, when the tile store’s associates can better recognize your tastes, you will almost certainly end up with something you’re going to love for years to come. Transworld Tile is the foremost provider in customer service and satisfaction for San Fernando Valley homeowners. We’re excited to help you solve the riddle of which tile, configuration, grouting, and overall style are right for your home improvement project. Feel free to apply any or all of these principles to your visit to our store, or you can rely on our helpful staff to fill in a couple of the gaps if you’re a bit unsure! 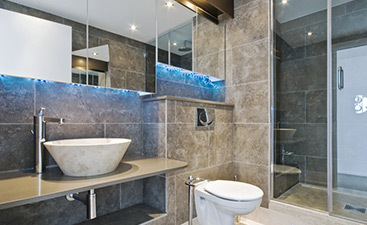 Pay us a visit or give us a call today for help in selecting your home’s next tiles!